A line of lanyards with built-in energy absorber, designed to arrest falls and reduce the force of impact during a fall. The devices in this line are of different lengths and have connectors in different combinations. The lanyards with energy absorber in the DAMPERMAX line consist of a nylon static rope with an 11 mm diameter kernmantle weave which guarantees effective and optimal resistance against wear and abrasion. 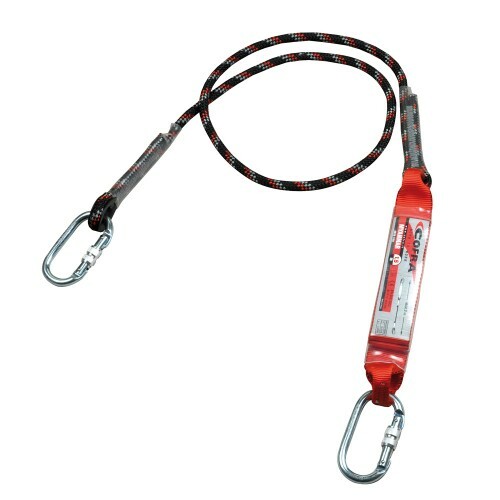 The 1.5 m lanyards can be connected to the dorsal attachment point extension (BURMA code A023-1100).